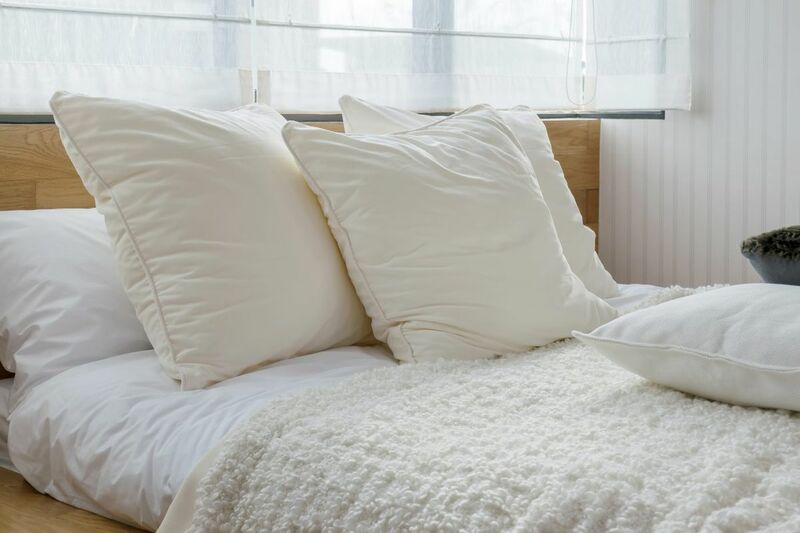 Ask Jennifer Adams: When should you replace your pillows? Fresh, supportive, hypoallergenic and clean pillows are not expensive. And, they are so worthwhile. Q: My grandma is trying to give me lots of stuff to set up my first apartment, which I appreciate, but she's including some gross pillows that I know for a fact she's had for a really long time. Would it be OK to just take them and donate them right away? A: How fun to be setting up your apartment! And it's great that your grandmother is helping you. Here's what to do: In short, take the pillows. But don't put them anywhere near your bed. Gross to you means gross to others, so charities would not even want them. Many charities don't accept any type of bedding at all, in any condition, for this same reason. Throw them away. Your grandmother wants to be helpful, and giving things to you makes her feel better. Truth be told, though, she probably just really wants this old stuff out of her house but isn't comfortable throwing things away if they seem even a little bit useful. Fresh, supportive, hypoallergenic and clean pillows are not expensive. And, they are so worthwhile. Sleep experts say everyone should replace their sleeping pillows every two years! (Mattresses should be replaced every 7-10 years, or even sooner if they get uncomfortable or if you have allergies.) Once your new pillows are buried under cute new pillowcases, Grandma won't ever know the difference. Also be sure to add moisture resistant, hygienic pillow protectors to lengthen the life of your new pillows. For more tips about pillows, go to my blog. Good luck and keep me posted! Have a design dilemma? Jennifer Adams is an award-winning designer, author of the forthcoming book "Love Coming Home" and TV personality. Send your questions to AskJennifer@JenniferAdams.com or for more design ideas, visit Jennifer's blog on her website at www.jenniferadams.com.